Not everyone understands the differences between Bitcoin mining hardware and regular PCs. A lot of people know by now that there are specifically designed rigs for mining Bitcoins and cryptocurrency in general, but they don’t know why they can’t get the same performance out of high-end gaming GPUs with high computational power. The answer to this might be simpler than you thought, as it basically revolves around engineering efficiency. Once you understand what makes Bitcoin mining hardware specific to mining Bitcoins, you’ll see that there are more important questions you should be asking. This article will present you with information on Bitcoin mining in general and explain specific terminology associated with Bitcoin mining hardware. Furthermore, you will be able to understand why CPUs and GPUs are not optimized for solving the complex equations needed to create blockchains, transfer information and validate Bitcoin transactions. You can look at Bitcoin mining as one of two things, whichever one you can better relate to. You can see it as solving a puzzle or solving a complex mathematical equation. Both are correct descriptions of what it entails. What do you get for doing this? The prize for putting together the puzzle and the answer to the equation is the Bitcoin. Now, how do Bitcoin mining rigs fit in this setup? A mining rig is essentially a node in the Bitcoin network. There are two types of nodes that handle the information differently. Regular nodes are tasked with passing around the digital information, in this case Bitcoin transactions. Mining nodes are tasked with solving the puzzle. Simply put, if there were no mining nodes there would be no Bitcoin transactions. If there’s no one to solve the mathematical equations that allow for the transactions to happen, the system would be pointless. The mining nodes are essential as they are the ones that create the blocks that make up the blockchain, the information that gets passed around through the other nodes. The computational difficulty slightly increases with each Bitcoin mined. More so, the number of Bitcoins awarded is estimated to reduce by half about every four years. Presumably in 2020 or 2021, solving a blockchain would have a reward of just 6 Bitcoins instead of 12. What happens when the Bitcoins are awarded? Every miner in the pool gets a share based on how much computing power he contributed to the pool. So what is your realistic role as a potential Bitcoin miner? You will contribute computing power to the network and share the spoils with others like you. In the past, you could cut it on your own, but these days, short of owning a Bitcoin mine like the ones in China, Iceland or Russia, the required investment means it isn’t really worth trying to get a few Bitcoins on your own. The hash rate of Bitcoin mining rigs translates to how many hashes per second your rig can make. The hash function SHA256 is heavily used by Bitcoin. This 256-bit hash algorithm was originally designed by the NSA and it is used in Bitcoin for its reputed security. The bigger the hash rate of your Bitcoin mining hardware, the faster your rig is able to compute the algorithms involved in transactions. As a quick example, some very average ASIC units can have a hash rate of 400GH/s. In comparison, mining rigs that rely on graphics cards usually top out in the mega hash range. The efficiency of your Bitcoin mining hardware is more important than anything if you’re looking to make the big bucks. It’s true that mining rigs with high hash rates mine faster but they don’t always give the best returns. All mining rigs draw a lot of power in the process of making computations. As a general rule, the cheapest Bitcoin mining hardware will give an insignificant return on your investment. Consider the ASICMiner BE Sapphire which costs only $20. While it is designed to mine Bitcoin, its hash rate is well under 1GH/s. The efficiency is nothing to look at either as it is only around 7.6W/GHz. Remember the ASICMiner BE Sapphire? Here’s why the brand behind the design also matters when it comes to buying Bitcoin mining hardware. Bitmain, one of the more popular manufacturers of mining rigs, has a slightly more expensive miner called the AntMiner U1. This one costs around $29 but it has a hash rate of 2GH/s and an efficiency rating of 1.25W/GHz. In terms of power saving, it’s not even up for debate which one is better. Bitcoin mining hardware comes in all shapes and sizes, and at very varied prices. However, you must have your goals set before you go out and buy one. If you’re looking to make a steady income but not a living, then a lower priced, lower hash rate Bitcoin mining rig will do just fine as long as it is power efficient. If you’re looking to make the big bucks and invest time and money into cryptocurrency mining, you’ll want something well over 2000GH/s, maybe even in the terahash range. Luckily, even though these ASIC units cost more, they are very power efficient. There are three main manufacturers of Bitcoin mining hardware: Bitmain (China), BitFury and Spondoolies Tech (Israel). The largest of the three and the most successful company is Bitmain. Not only are they responsible for the very efficient and profitable AntMiner ASIC units but they also operate one of the largest mining pools in China. 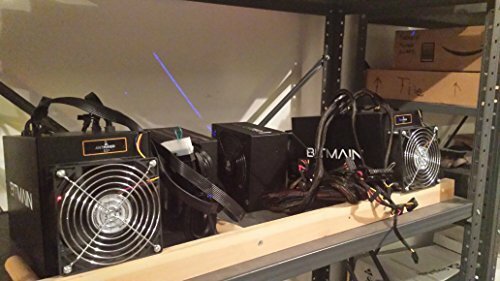 Chances are that if you want to get started with mining Bitcoins, Bitmain will be able to supply you with the gear you need. BitFury also makes competitive products but they can be harder to get your hands on and Spondoolies Tech don’t offer the best cost/performance ratio on the market. The bread and butter of efficient Bitcoin mining hardware, ASIC units, otherwise known as application-specific integrated circuit chips, are made specifically for Bitcoin mining setups. Their computational abilities are very limited and so are their requirements. However, they excel at solving Bitcoin algorithms better than anything else on the market, including high-end CPUs and GPUs. You might have seen the recent shortage of high-end gaming GPUs and a surge in the price of anything that can run games on high settings at 4K. Both Nvidia and AMD cards are in high demand because people want to get into mining while maintaining a fully functioning and capable PC. ASIC Bitcoin mining hardware will always be better at mining than any part-time, casual rig based on high-end gaming cards. Not only are the graphics cards expensive but they’re also not as proficient as ASIC rigs at solving the algorithms fast and with minimal power draw. However, the technology is ever-evolving even in the case of ASIC units. As more and more Bitcoins are found, the algorithm becomes that much harder to solve which renders some ASIC units, let’s just say, not as profitable. New ones come out quite often but not in such high supply to satisfy everyone. In comparison, graphics cards are not made to be more efficient at Bitcoin mining. As new models come out, they are indeed more powerful due to new and improved technology, more and more powerful cores, and so on. Nevertheless, they don’t come with Bitcoin mining-specific improvements which is why there’s little difference in terms of hash rate between two different generations of GPUs. 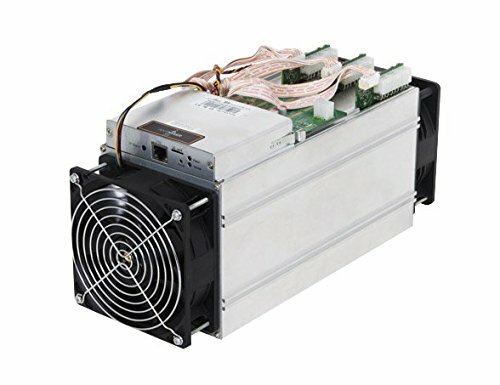 Best Bitcoin Mining Hardware ASIC Unit? The AntMiner S9 is a serious upgrade to its predecessor the S7. It is capable of nearly triple the hash rate but it’s also considerably more expensive. So is it the best choice for home miners in 2018? As it stands, the S9 is still your best bet to actually get something more than just experience out of Bitcoin mining hardware. With the current market rate of Bitcoin, the AntMiner S9 will probably pay for itself within the better part of a year and the rest is profit. Do keep in mind that as we draw closer to the 2020-2021 halving process, perhaps even more ASIC units with better price/performance ratios will be launched. In addition, the GPU manufacturers Nvidia and AMD have both announced their interest in developing ASIC rigs to help satisfy the demand without causing more damage to the gaming community. If and when that happens, there’s no telling if manufacturers like Bitmain will still be relevant. Who knows? Perhaps Nvidia and AMD’s lack of experience in this field will show and the S9 will remain king for at least a few more years. There’s also a chance that with all the wealth behind the two GPU manufacturers, the companies will be able to simply outclass everything we have now. If you just want to dip your toes into some mining pools and get a feel for the whole cryptocurrency phenomenon, there are some other ASIC units you can try. They don’t cost too much but they won’t give you enough return to make a difference in your choice of vacation spots. This unit has a hash rate of 441GH/s and an efficiency rating of 0.77W/GH. Its price is around $382 which makes it quite cost-effective. Its successor the AntMiner S4 has a hash rate of 2000GH/s and an efficiency of 0.7W/GH. However, the S3 is significantly cheaper than the AntMiner S4, which costs $1400. It’s a really good budget option that has virtually the same power efficiency as its next-generation model. There was a time when you could actually mine reliably with USB miners. They were cheap, had decent power efficiency ratings, and made good use of your PC’s performance. Today you can’t compete with just a USB miner, but what you can do is check out the process. If you don’t want to burn out your GPU or CPU, or you simply don’t want to invest in a low-end ASIC miner because you know if it won’t make you any money, a USB miner is a good alternative. The low power consumption of these units won’t create any spikes on your electricity bill. Not only do they draw very little power themselves, but they also don’t require additional cooling like other Bitcoin mining hardware. With a USB miner, you’ll be able to join a mining pool, run the software and still do other things on your PC. You can watch movies, edit videos and play games without worrying that you’re overworking the system. At the same time, you’ll be able to monitor the activity of the mining pool, see how transactions are being handled and check out what other miners bring to the table in terms of power, and so on. It gives you the hands-on experience you want without significant investment. It should also help you to better understand what type of Bitcoin mining hardware it would take for you to turn a profit. The way you make your investment back and the way you profit from mining Bitcoin is a two-step process. First, you balance out your power consumption with your actual return. Once you make enough in Bitcoin to pay for your rig then you start turning a real profit. You can use a calculator to determine how much money you can make per month from mining Bitcoin by putting in values for hash rate, power consumption, Bitcoin price, electricity cost per kW/h and so on. This is all fine and dandy until you realize that whatever pool you’re running your mining rig on reduces the hash rate by the day. Even though the Bitcoin itself may continue to rise in value, the computing part gets increasingly harder. So, no matter how you look at it, you make less and less regardless of your hash power. A few other things are worth considering. Whether you’re using gaming cards or ASIC units to mine Bitcoin, all rigs get hot. Really hot! One profitability ratio that’s not included in any online calculator is how much extra you spend on the power consumption of appliances such as fans, water coolers, or depending on how large your operation is, industrial AC units. All of the cooling has to be taken into account as you want to run most efficient appliances to prevent your Bitcoin mining hardware from overheating. Needless to say, these appliances draw a lot of power too. You should always remember that not everyone pays the same amount of money for electricity. This is why the biggest and most profitable Bitcoin mines are usually located in places with low power costs and cheap rents. Even the weather is a major factor. Two of the biggest Bitcoin mines are located in Russia and Iceland. While the one in Russia is able to handle cooling significantly easier due to the constant cold weather, the facility in Iceland also benefits from very low energy costs for its size. The weather won’t impact you as a home miner as much as it would a facility with hundreds of ASIC units but it can be an inconvenience. Running one or two AntMiner units in the middle of the summer might get hotter than you originally envisioned. You can either download the software from the main website or download software from anyone of the hundreds of mining pools available online. Once you have it installed, input your security information which usually involves an account and a Bitcoin wallet address and let the program run. Most mining pools let you monitor your progress on an hourly basis and show you how much you’ve earned in Bitcoin or in real world currency. A Bitcoin mining pool, or any other cryptocurrency mining pool, is a collective of multiple miners that pool computational resources together to solve the complex mathematical equations involved in Bitcoin transactions. Individual miners are not rewarded equally. Instead they are rewarded based on the amount of hash power contributed. What is the difference between ASIC and GPU mining? ASIC units are engineered to be efficient Bitcoin mining units. GPUs are designed for visual editing, gaming and all sorts of other computing tasks. While GPUs have stronger computing capabilities, they pale in comparison to ASIC units when it comes to price/performance and efficiency ratios. A blockchain is a growing list of transactional records secured using cryptography. In the case of Bitcoin, each block making up the blockchain consists of a hash from the previous block, a timestamp and the actual transaction data. Hash functions are used in cryptography. Simply put, they are mathematical algorithms that map out data. The output hash values have many properties that make them useful in information security applications, hence their use in solving Bitcoin blockchains. You can associate a Bitcoin miner to a bookkeeper. The duties of the miner involve creating and adding transaction numbers to the Bitcoin network. This makes transactions become visible on the network but it does not validate them. Other nodes are responsible for checking the validity of blockchains.